When Linda Smith opened Four-D College in 1992, she had no idea that the very foundation upon which she established her dream would be tested in every corner of her personal and professional life. Even with a Master’s in Administration, a Bachelors in Nursing, and a Teaching Credential, Linda would have been unprepared for the challenges of shady business partners, shattered family relationships, discrimination and so much more…if not for her intimate relationship with God. has unfolded and continues to unveil with great humility. 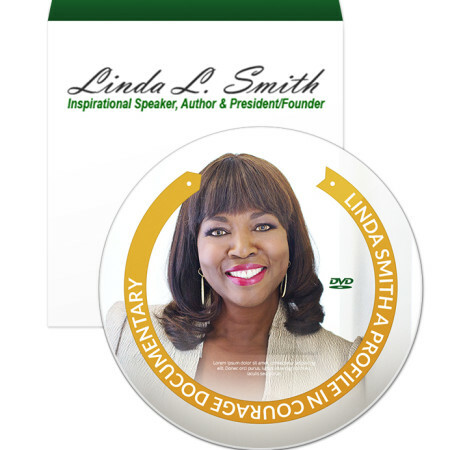 Linda L. Smith, Founder of Four-D College and inspirational speaker, helps women pursue their vision with confidence. I guarantee that you will feel like you can do ANYTHING after you read Linda’s inspiring. Linda Smith is a powerful business woman who grew a very successful multi-million dollar business over the past 20 years in spite of many trials and tribulations. I guarantee that you will feel like you can do ANYTHING after you read Linda’s inspiring story! 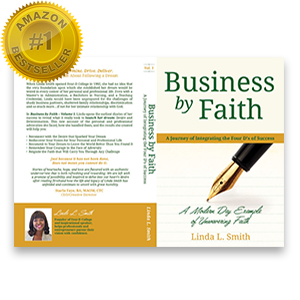 Starting and growing a business is truly an act of Faith and there is no one more qualified to tell that story and share what she has learned than Linda Smith. Grab a copy of this book for yourself and then get 5 more to give away to your business colleagues! A passionate demonstration of acting on the dream God placed in your heart and watching as it comes to fruition. The author revealed herself completely to her reading audience about the ups and downs that can come when you stand on faith and operate in obedience. This book is for more than those that desire to start a business, it is for all who desire to follow the lead of God. Powerful testimony of how faith and business go hand in hand. A powerful testimony of how faith and business go hand in hand. 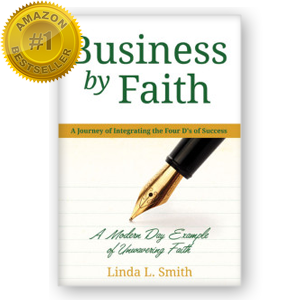 Linda Smith provides insight of not only how to start and maintain a business, but also how to grow and prosper during economic challenges and trials of life. A great book for personal growth or for someone looking to enhance the growth of key members in their business. This book is a must read! I keep it close–so when I need inspiration and motivation, I can get it. Linda shares her journey, holding nothing back! You will be treated to a behind-the-scenes account of her trials, tribulations and triumphs. It lets you know that all things are possible, if you have faith (and determination). Amazing and inspiring book to reflect on !!! For more information on returning or to discuss any further problems or issues pertaining to a book or books order, please contact our support department by clicking on the following link and filling out the support form. Thank you for your business. “A Profile in Courage: Linda L. Smith” is a documentary about the Founder and CEO of Four-D College, a vocational nursing school in Colton and Victorville, California. “Live” interviews, Stills, Archival footage, and dramatic re-enactments, tells the story of Linda Smith’s 23 year journey to achieve her goal of starting and owning her own school. Linda operated the only African American fully accredited vocational career college in the State of California from 1992-2015.